Cooper is having his birthday party tomorrow at the park from 10-12. So, today I had to get everything ready for the morning. There are quite a few people coming to his party. He wanted to invite a few kids from his class, therefore you have to invite the whole class. Not including parents and siblings, I believe there will be 16-17 kids that I know of. It should be a lot of fun for Cooper. 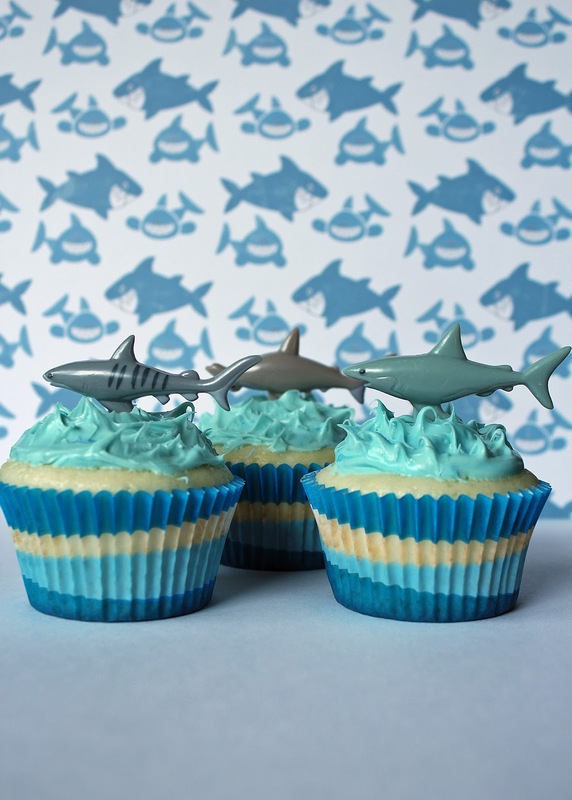 Today I made shark cupcakes. Luckily my friend Erica is making another batch of cupcakes for the party. The 18 I made would not be enough for everyone. 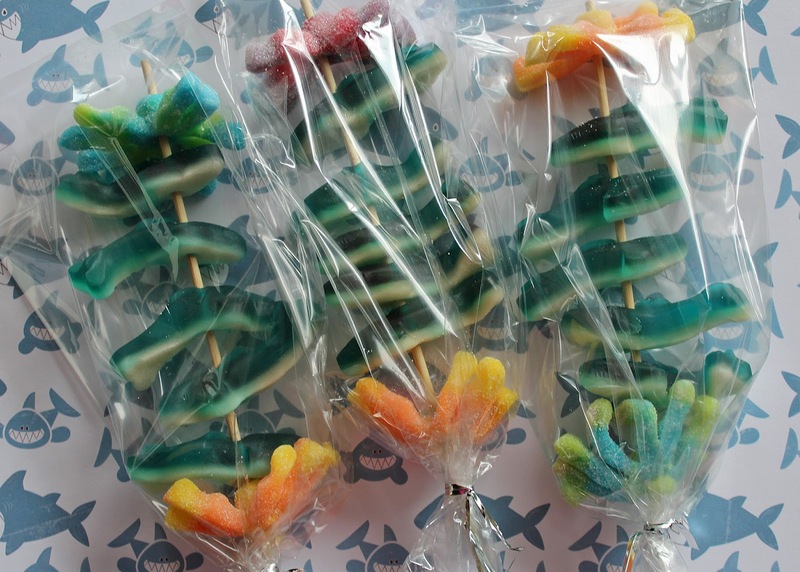 As party favors I made gummy shark and octopus candy kabobs. 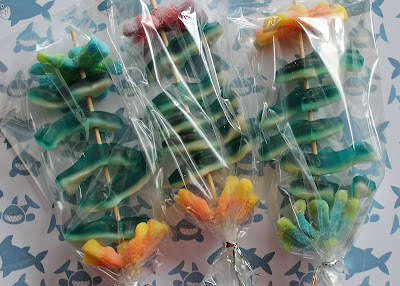 I think they are so cute! Now we are just waiting and hoping Daddy's flight gets back here in time for the party tomorrow.